Installation with realtime captured video stream, 3 robotic painting machines, projection, canvas. 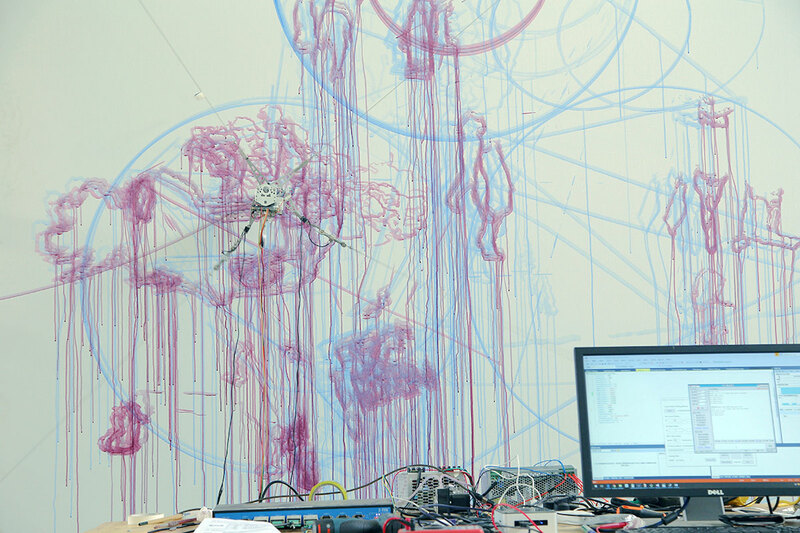 Working assiduously with a group of technologists over an extended period of experimentation, Weight of Emotion is LIU Xiaodong’s latest daredevil endeavor venturing into an unfamiliar zone of telematics and computer vision-engendered automation systems. Pushing boundaries of his documentary style of live painting, the artist completely reinvents himself by penetrating into the digital now. Already in his live paintings, LIU Xiaodong’s search for the real gains ground by a degree of retreat from the real as it appears and it sometimes takes surprising detours or shortcuts. 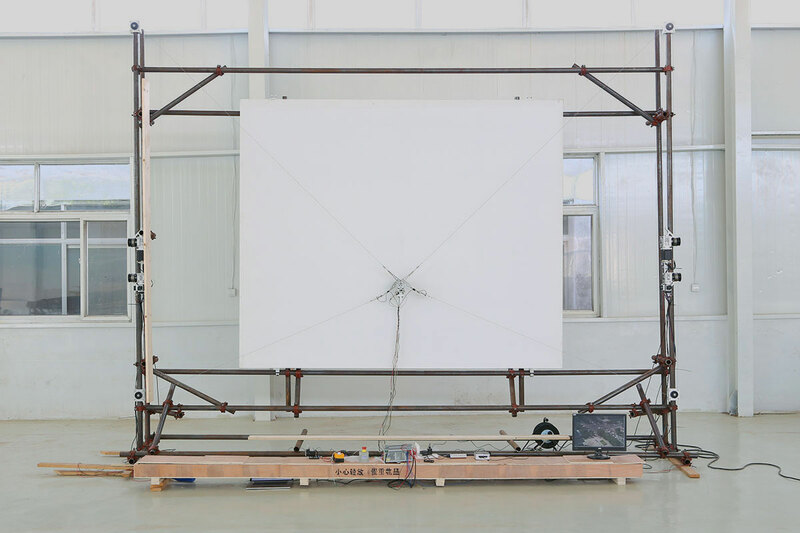 Weight of Insomnia is precisely such a rupture, LIU Xiaodong has developed an automated system that uses streaming data and computer vision algorithms to continually paint a canvas for the entire duration of related exhibitions. The autonomous and performative painting is simultaneously de-familiarizing and engrossing. Three locations were carefully identified and equipped with video cameras. Three large-scale canvases are mounted on crude construction scaffolds. 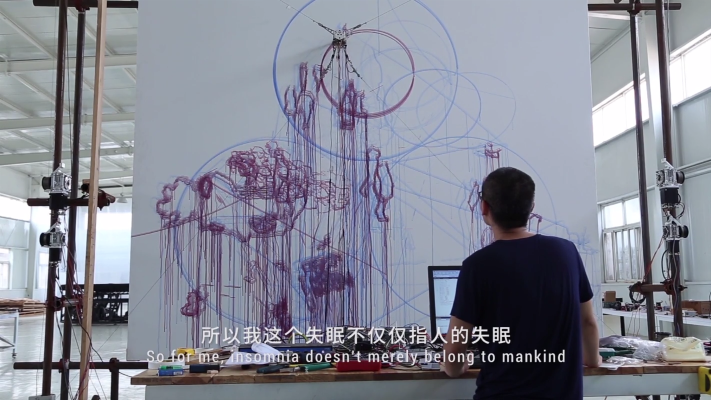 A robotically controlled paintbrush jitteringly translates the three discrete, incoming datum captured by video cameras into contours of buildings, silhouettes of trees, outlines of vehicles, and shadows of human figures. If the canon of live painting is to arrest a fleeing second, to fixate a bygone moment for a rumination on signification, then what LIU Xiaodong’s canvases depict are a multiplicity of instants that are forever fluctuating, generating at each moment a new sediment of emotional residue, overlapped, juxtaposed, concatenated and truncated. It is as if the robot, reincarnated in a human consciousness, wrestles through an endless, restless insomnia to piece together an ever-evolving jigsaw of amorphous desires and anxieties, fleeting nightmares and ruptures. LIU Xiaodong thus constructs a new awareness of contemporaneity. In so doing, the artist not only re-assesses painting in the age of internet and algorithm but also makes apparent a new reality that situates itself in the materiality of media informed by data fluxes. This commissioned work keeps updating for each exhibition. The three shooting locations for its first exhibition on 2016 are: the iconic Bund in Shanghai, a crossroad in Beijing’s fashionable Sanlitun district and a public plaza in the artist’s home town, a dilapidated former industrial city. The three locations for its second exhibition on 2017 are: BMW assembly lines, the trajectories of traffics at the Brandenburg Tor in Berlin and an anonymous rotary in Karlsruhe. LIU Xiaodong is a painter of modern life, whose large-scale works serve as a kind of history painting for the emerging world. 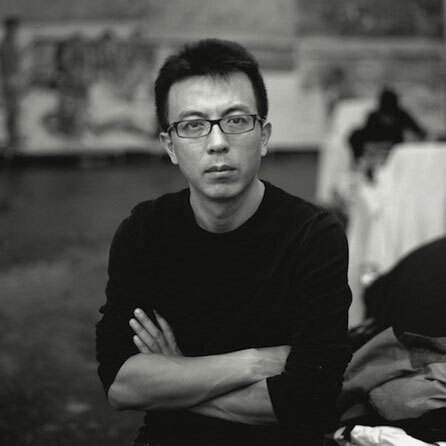 LIU locates the human dimension to such global issues as population displacement, environmental crisis and economic upheaval, but through carefully orchestrated compositions, he walks the line between artifice and reality. A leading figure among the Chinese Neo-Realist painters to emerge in the 1990s, his adherence to figurative painting amounts to a conceptual stance within a contemporary art context where photographic media dominate. His undertaking “to see people as they really are” was galvanized in the turbulent years of the 1980s and, alert to the legacy of Chinese Socialist Realism, his compositions are painted with loose, casual brushstrokes and layered with meaning. While he works from life and often en plein air, he chooses sitters to supply ancillary narratives to landscapes or situations. This participatory dimension to his practice, where projects are also documented by diaries and films, reflects an urgent sense of interconnection: “Society and art”, he says, “should be like breathing – one breathes in and the other breathes out” (2008).